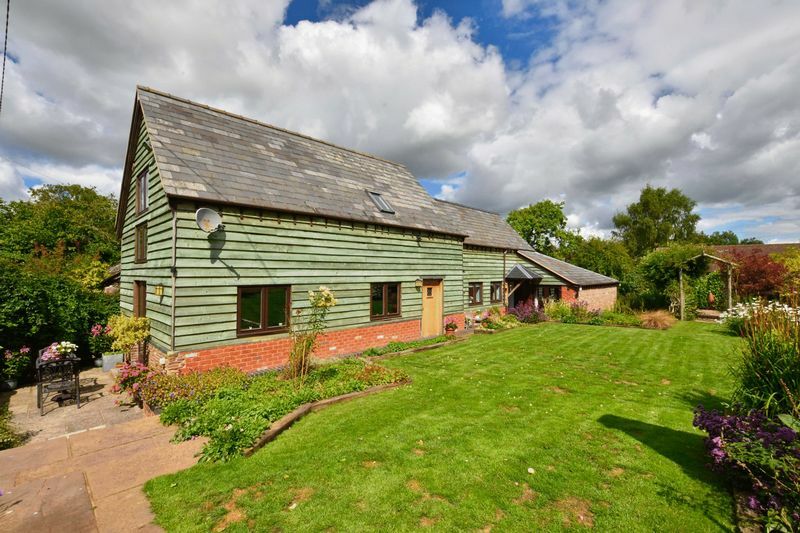 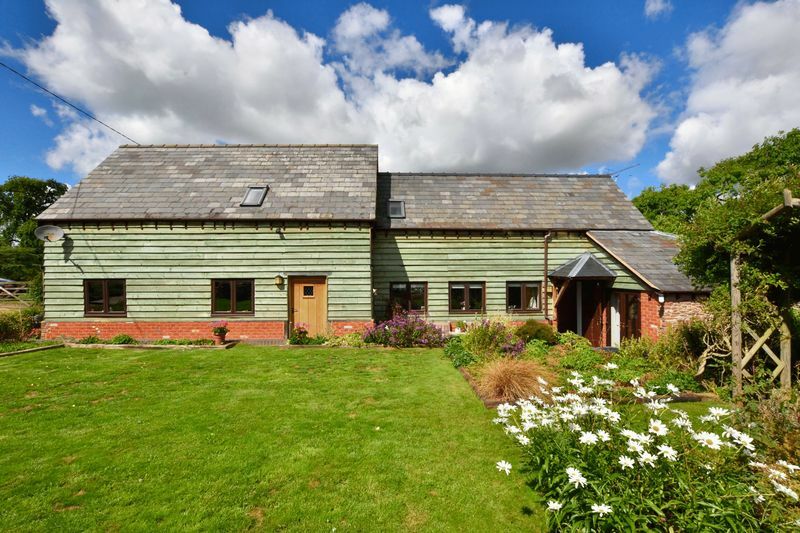 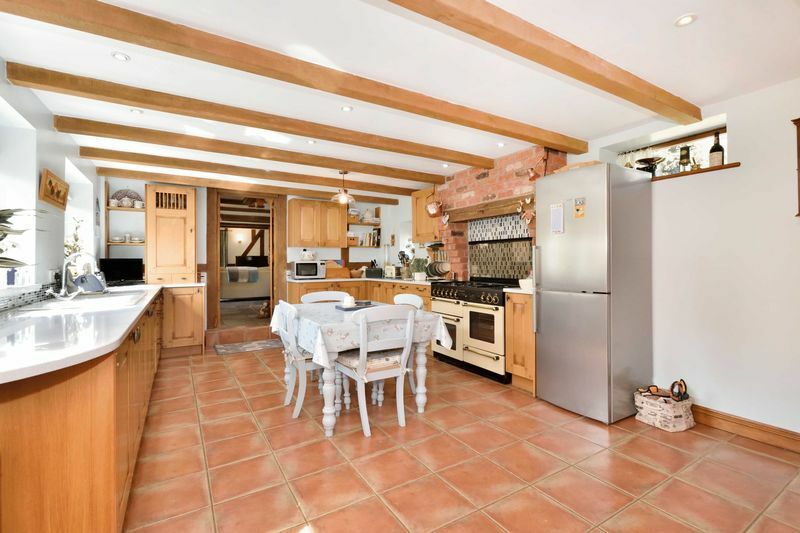 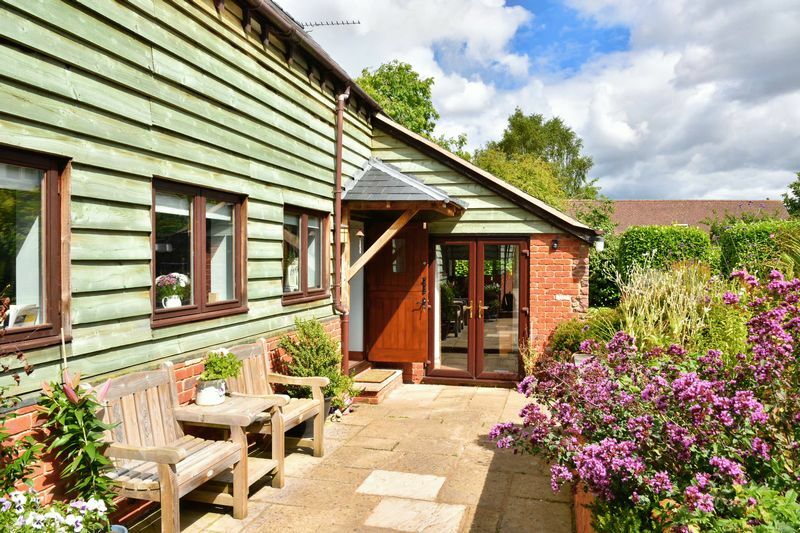 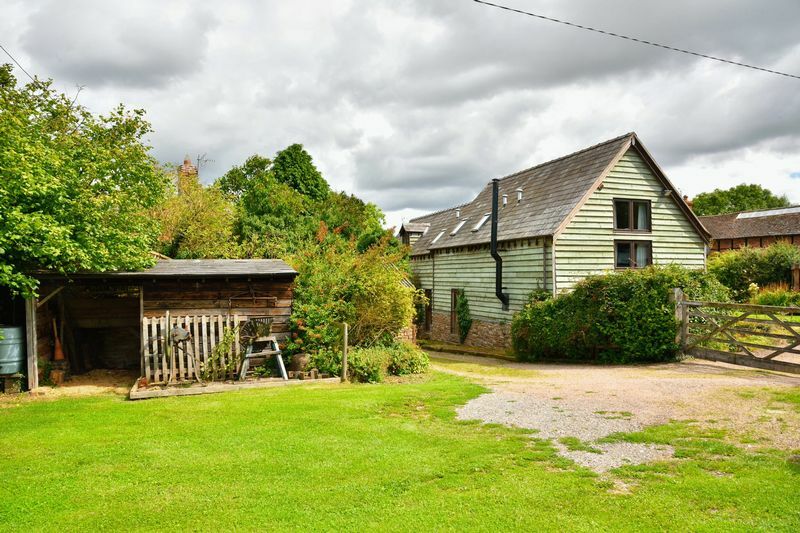 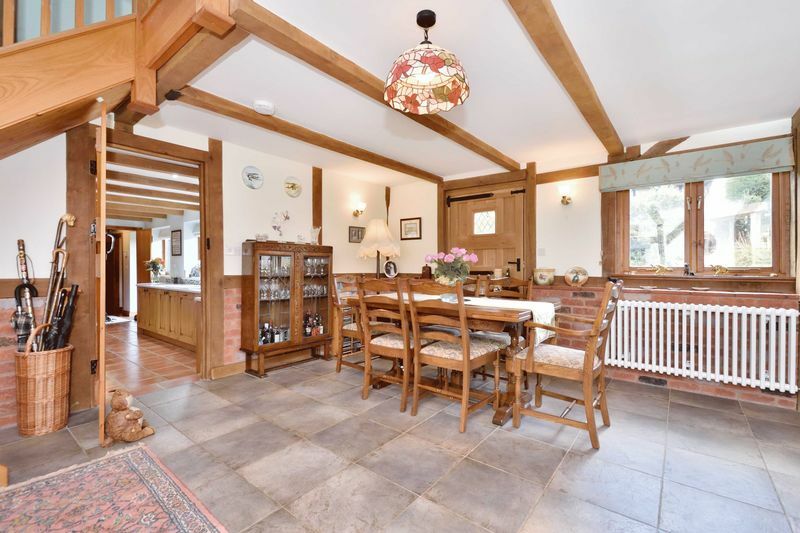 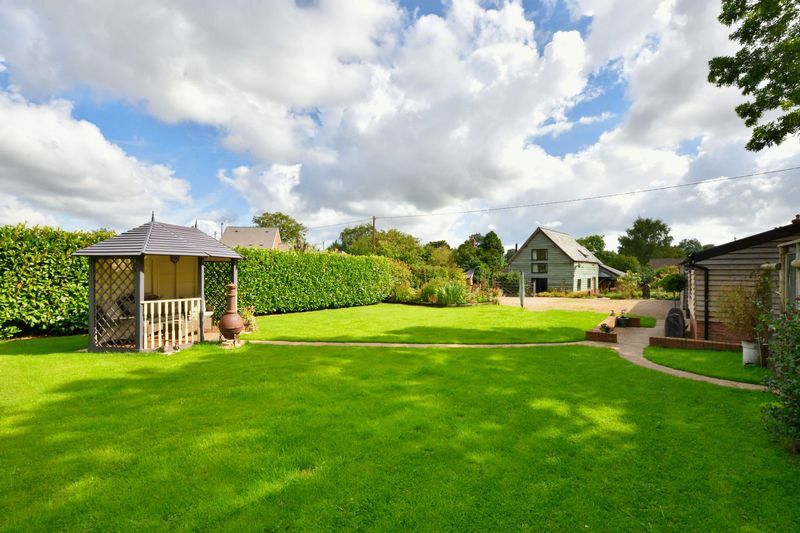 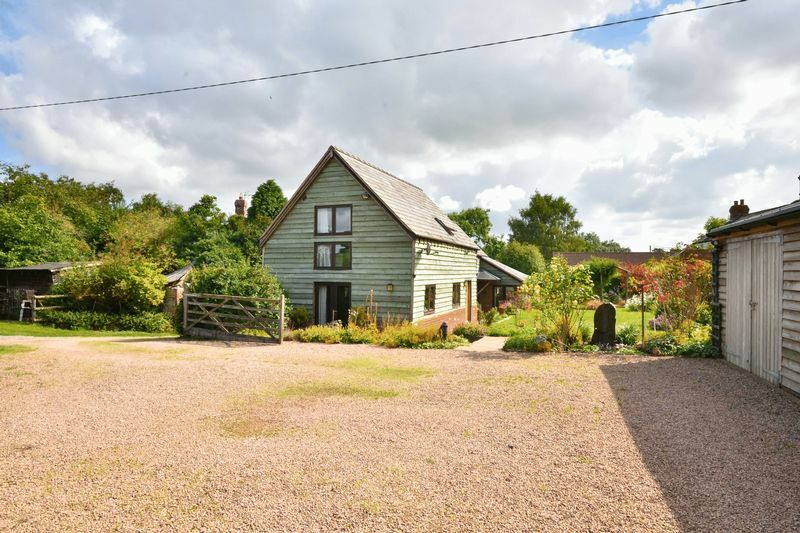 A Gorgeous Detached 4 Double Bedroom Timber Clad Barn with Attached Self-Contained Annexe, Garage Block with Home Office and Stable, all with Land Extending to 4 Acres Ideal for Equestrian Pursuits. 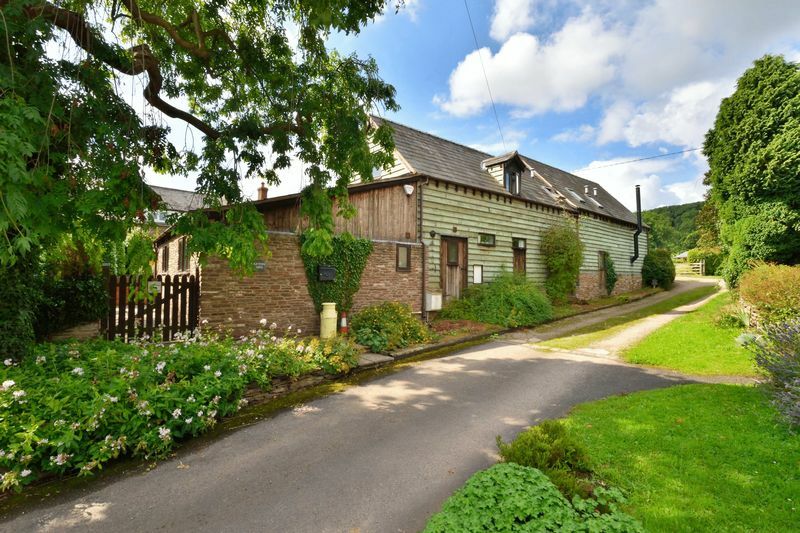 This characterful barn offers an elegantly stylish family home with the practical addition for multi-generational living of a self-contained Annexe. 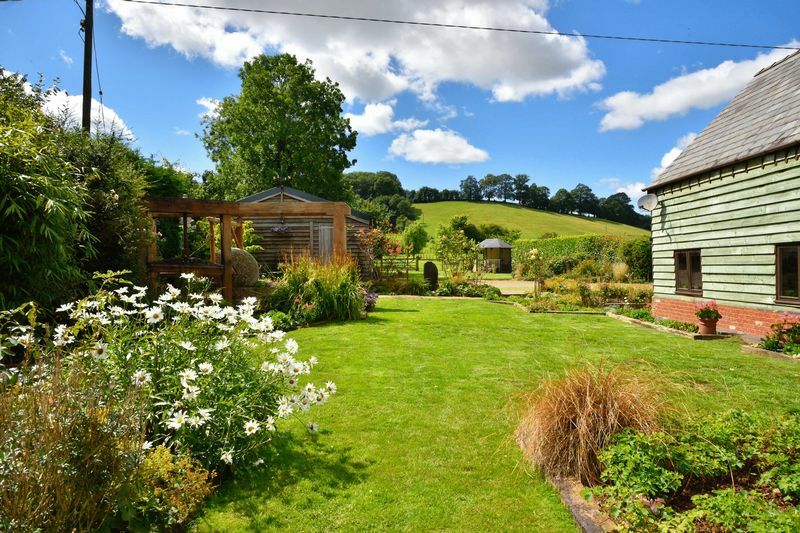 All set in lushly beautiful and productive gardens with its own fenced fields extending to the foot of the amusingly named ‘God Almighty’ hill with its native-rich deciduous woodland and glorious vistas across open country. 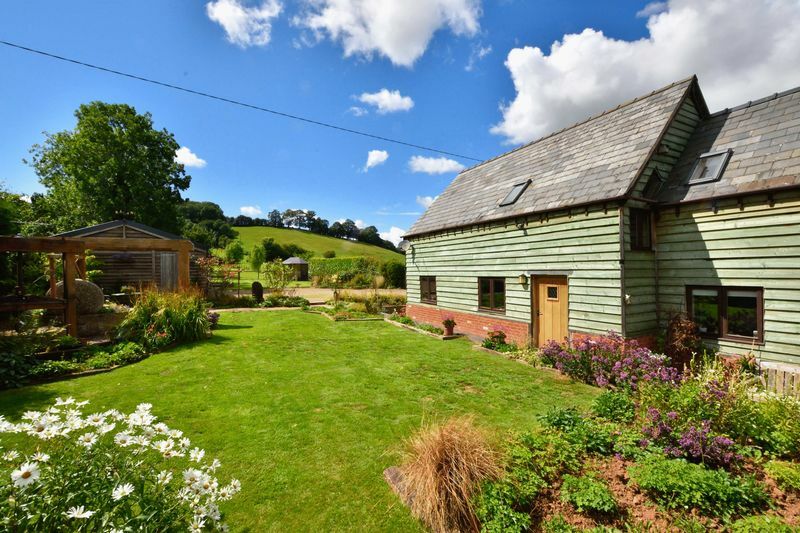 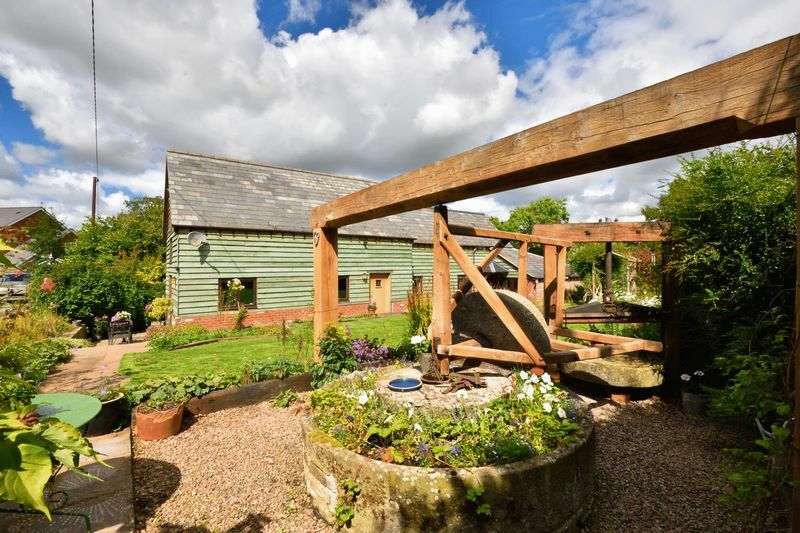 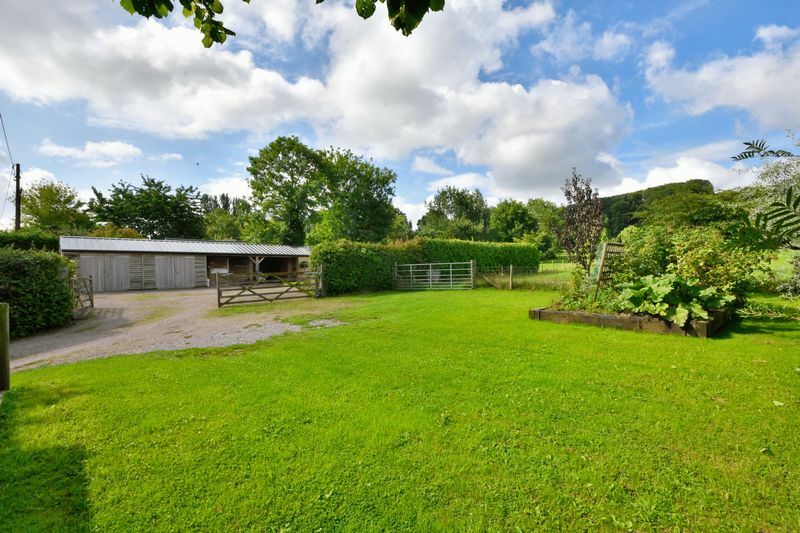 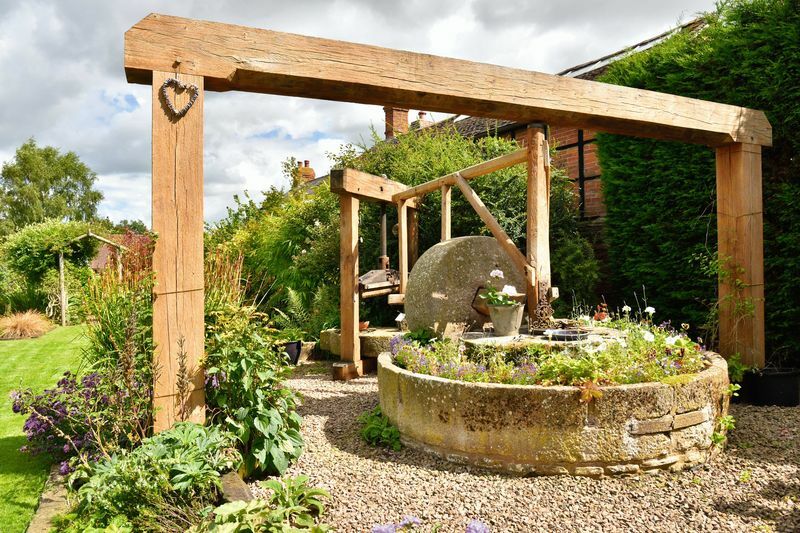 With modern outbuildings and stabling, this stunning property offers an oasis of the Good Life for any family of artisan crafters, happy grow-your-owners and the horse-mad. 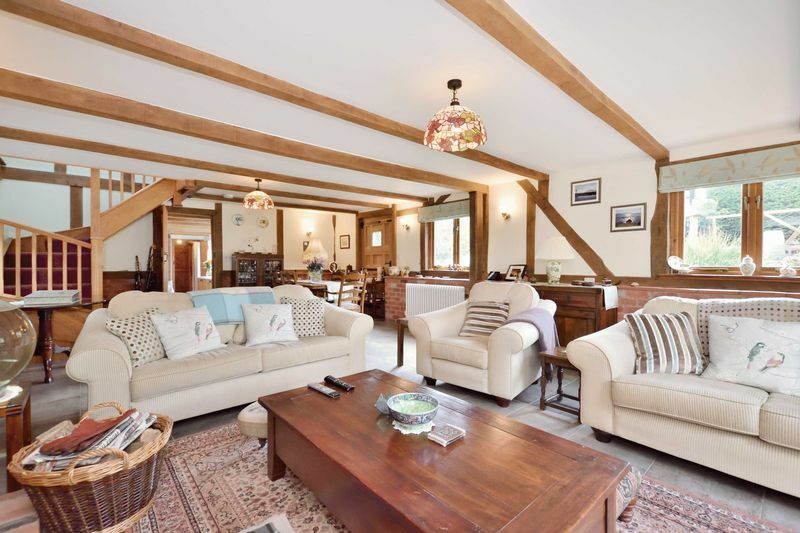 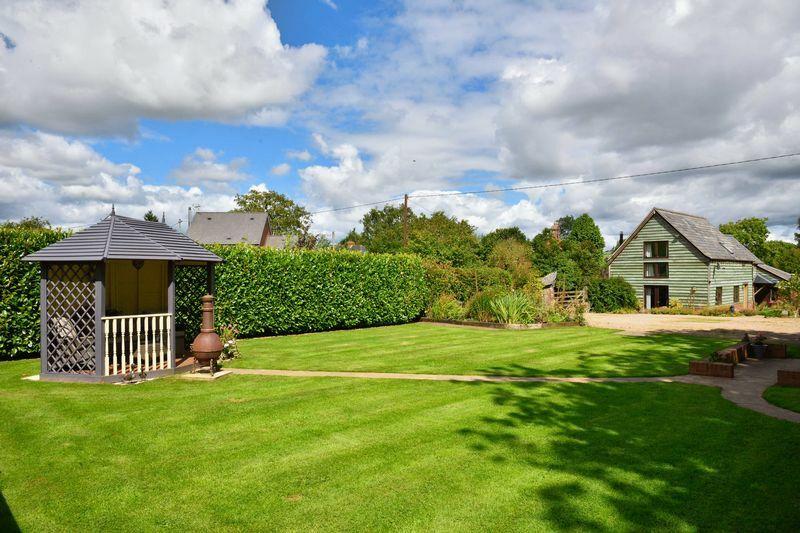 Located in Bodenham Moor the barn enjoys ready access to the wide range of this popular village’s amenities including highly rated primary school, shop, church, post office, GP’s, vibrant village hall and also the activity venues of golf course, tennis courts and sailing club. 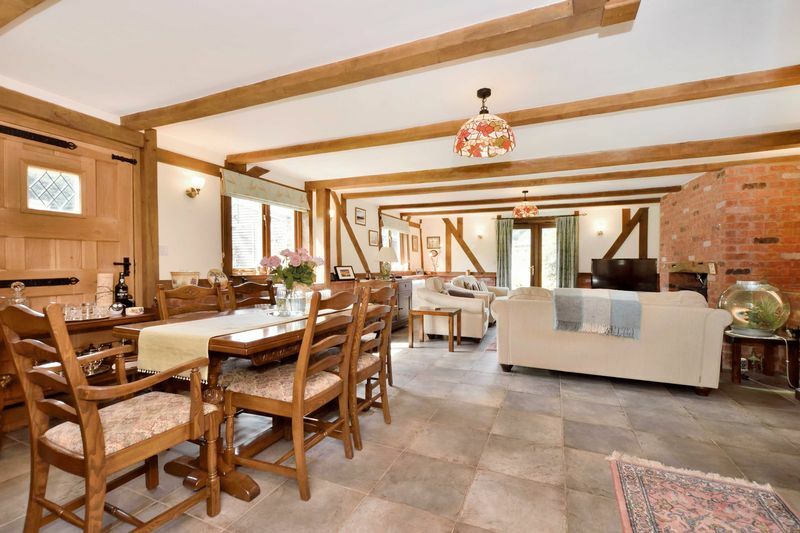 Open Plan Sitting/Dining Room – The spacious and characterful room is flooded with light from its triple aspect with windows dressed in bespoke fabric blinds from Sasha Interiors and both an External Front Door and French doors opening directly out into the gardens with views across the fields up to the wooded hill. 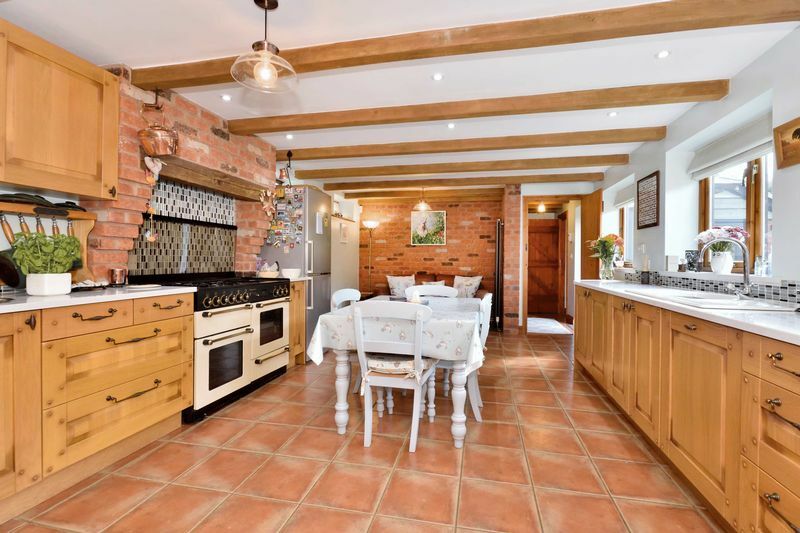 A highly malleable space with tiled flooring, made warmly welcoming by the large Woodburner set within an exposed brick fireplace and by characterful exposed beams. 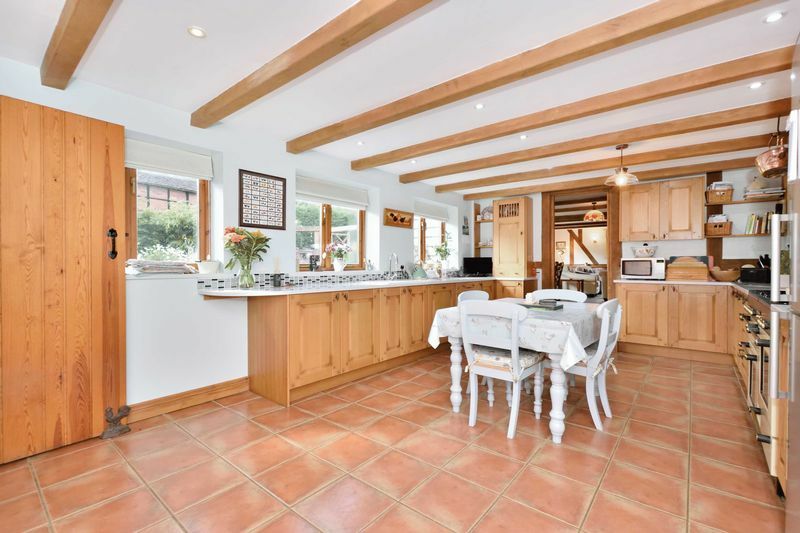 Kitchen/Diner – Fully-fitted with new oak cabinets with white crystal qwartz countertops (by technistone), the country Kitchen features integrated dishwasher, large gas Range cooker and both a ceramic sink with integral drainer set beneath windows overlooking the gardens and a supremely practical stainless-steel sink for vegetable preparation. 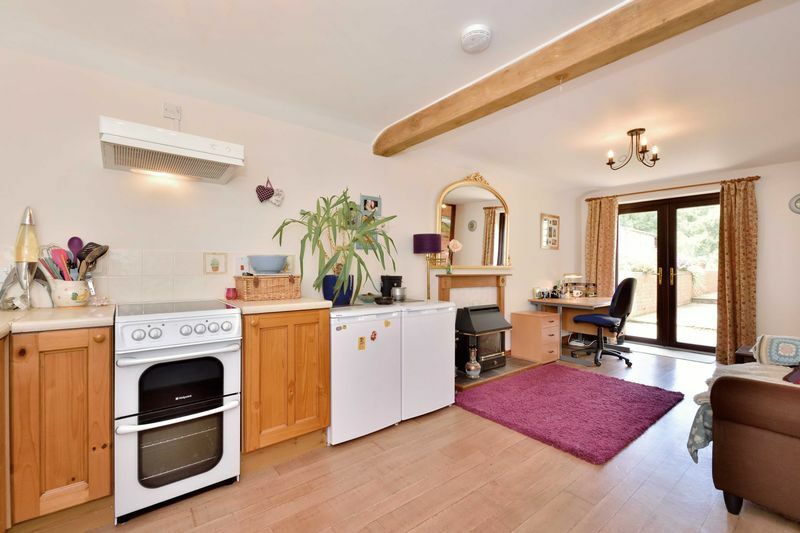 There is ample space for a fridge/freezer, dining table and even a sofa. 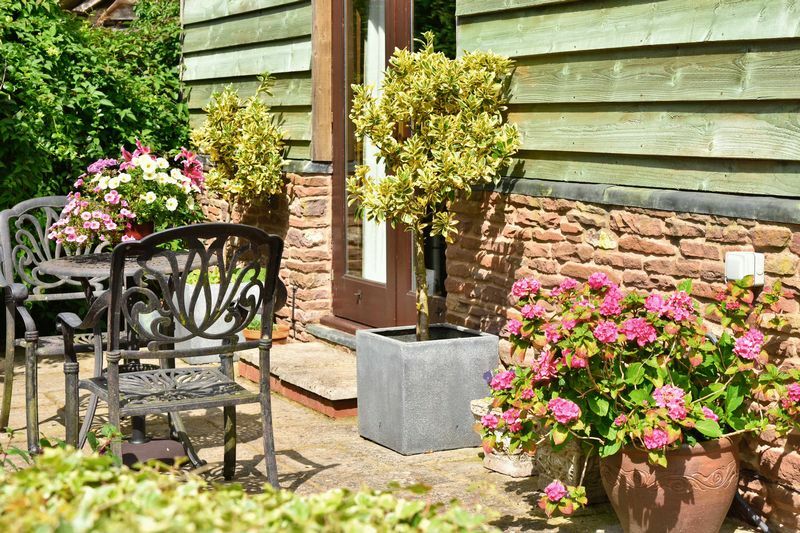 A stable door leads to the garden and patio. 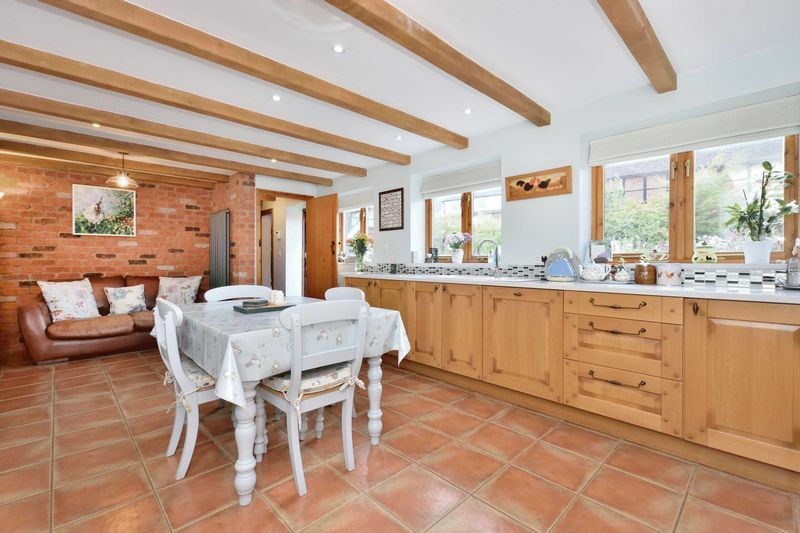 Utility – Harmonised by matching tile flooring running from the Kitchen, the Entry Hall with External Side Door leads on to the Utility, housing the Worcester boiler, WC and fitted with stainless steel sink with drainer and array of units providing good storage. 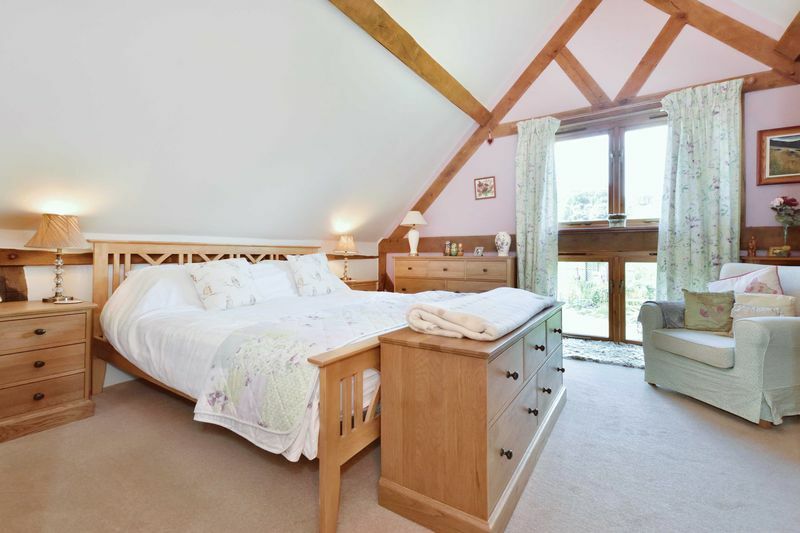 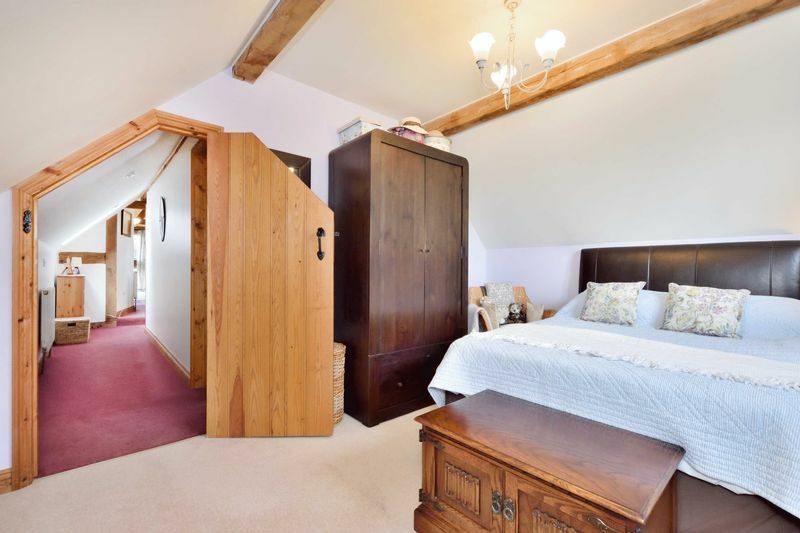 Master Bedroom with Wet Room Ensuite – The carpeted Bedroom enjoys a high pitched ceiling with exposed beams, a wall of built-in wardrobes and large 4 window aspect that frames the lovely uninterrupted views up towards ‘God Almighty’! 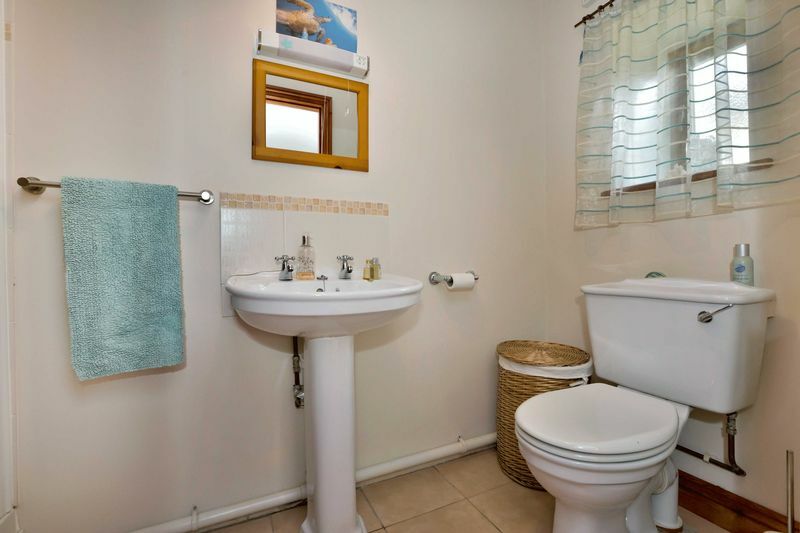 The Wet Room features an enormous Rainhead shower, WC, pedestal basin and heated towel rail. 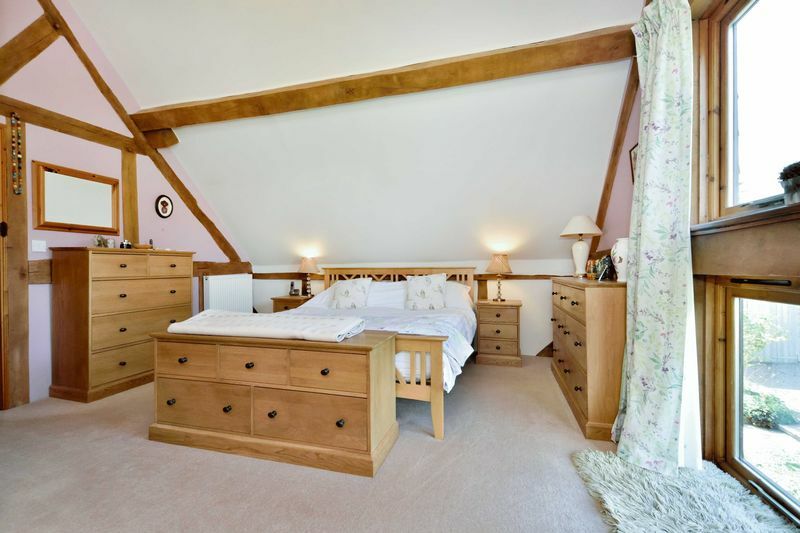 Small Double Bedroom – Next to the Master the smallest of the Double Bedrooms is currently utilised as a Dressing room fully fitted with oak open wardrobes, shelving and shoe racks. 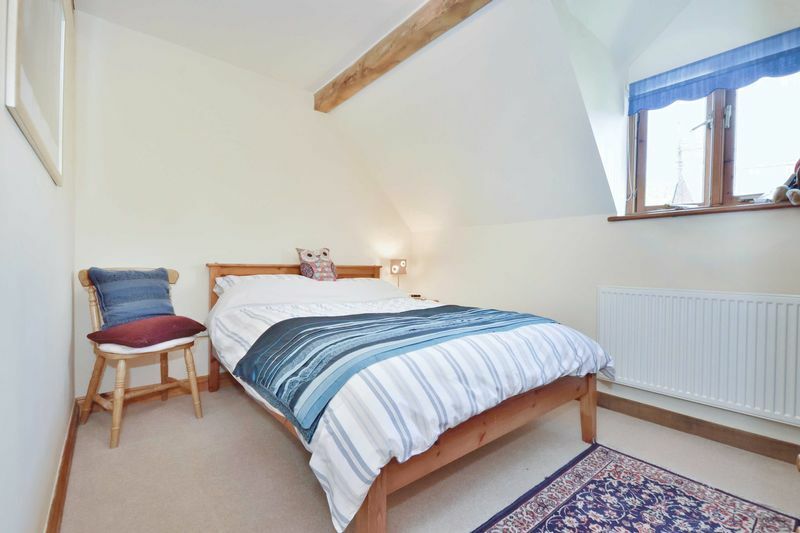 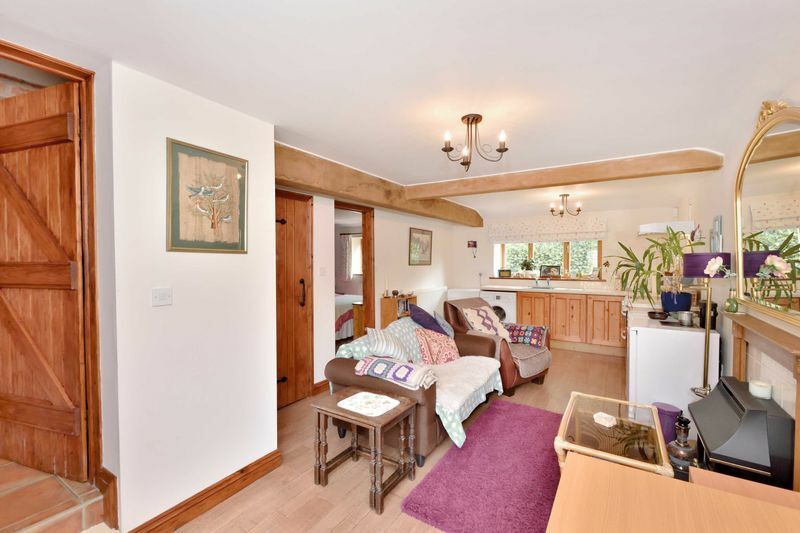 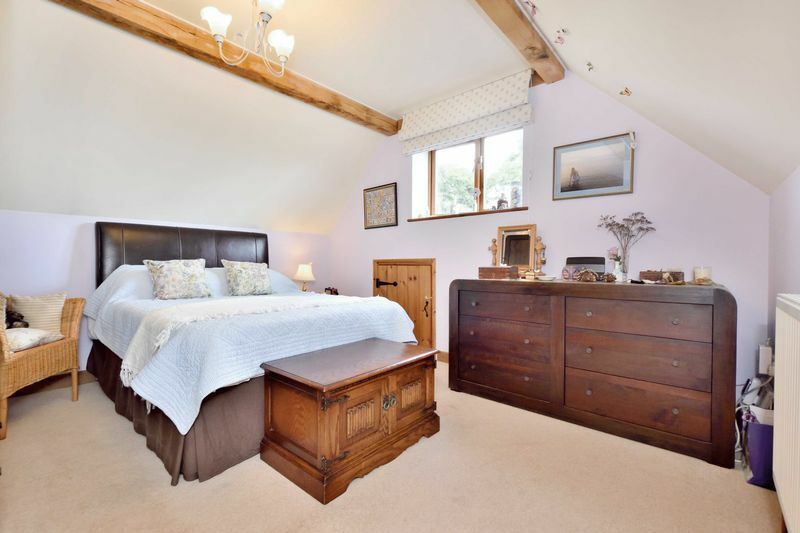 2 Double Bedrooms – To the far end of the landing lie 2 further carpeted Bedrooms with pitched ceilings and exposed beams. 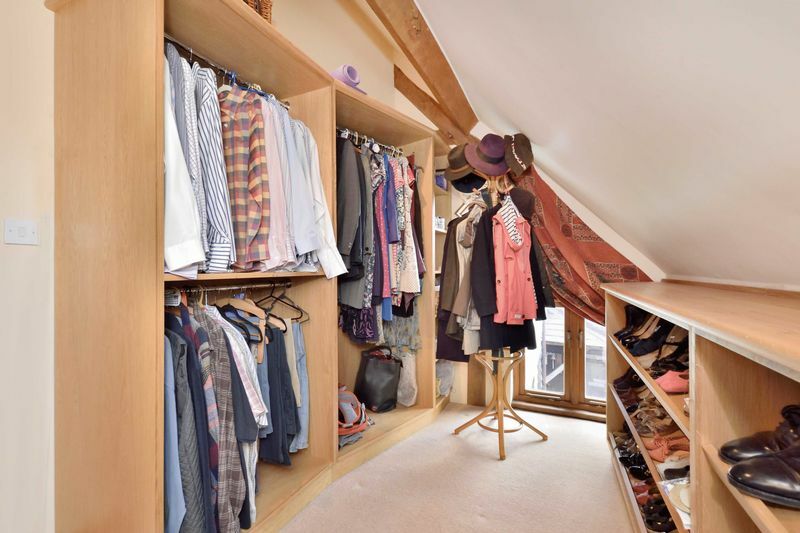 The ultimate room also offers access to the extensive roof storage with lighting. 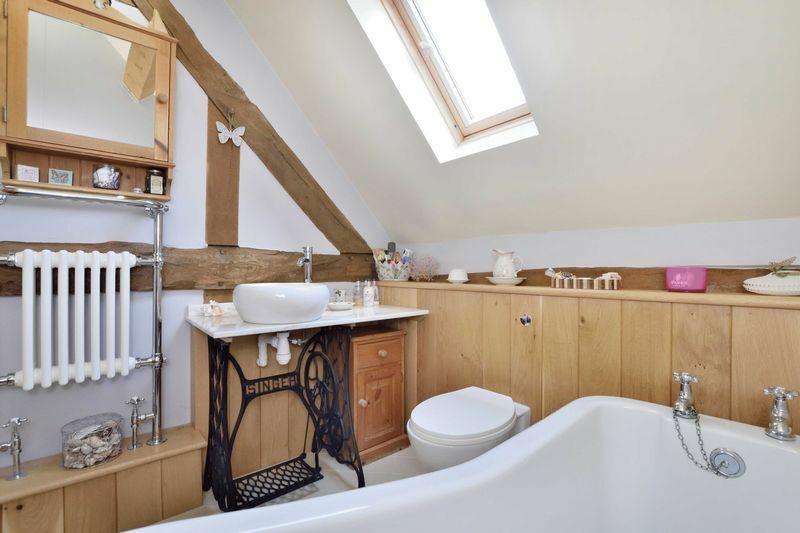 Family Bathroom – Featuring a period-style freestanding bath, wall-mounted WC and round basin set upon marble-topped Singer trestle washstand. 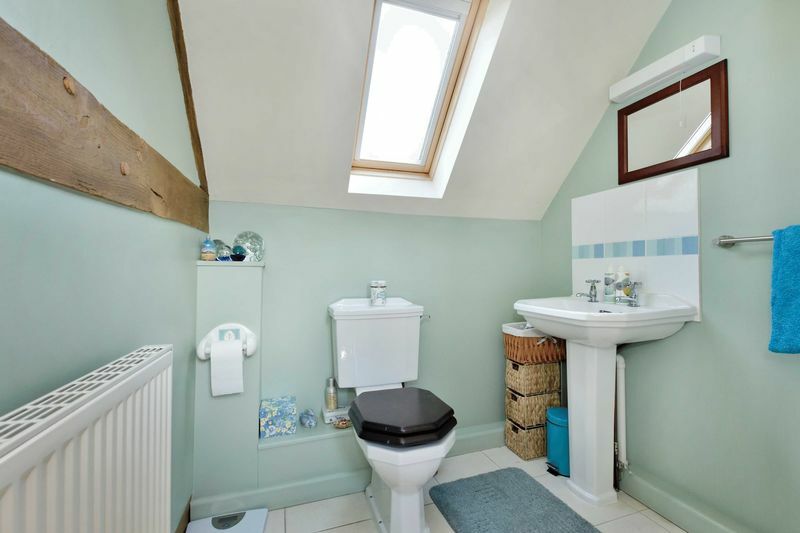 Shower Room – The separate Shower room has large cubicle, WC and pedestal basin. 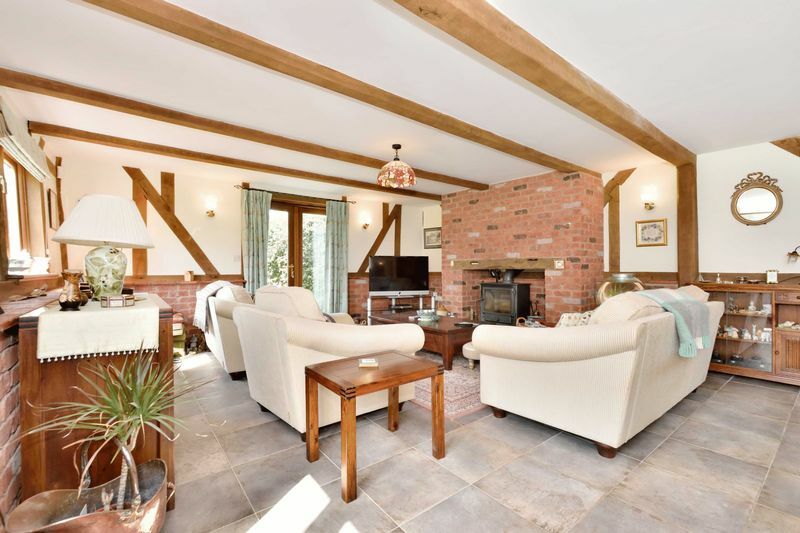 Annexe – Lying to the far end of the Entry Hall the self-contained and separately metered Annexe offers a delightful open plan living space with French doors opening directly into the garden, while a large Walk-in Closet provides excellent storage. 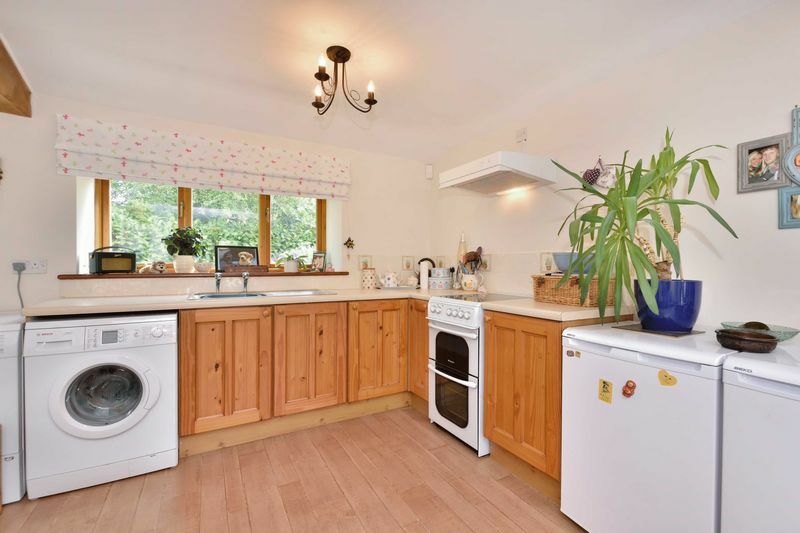 The spacious Sitting area features a gas fire, with to the far end a fully-fitted Kitchen, stainless steel sink sits beneath a triple window with fabric blind and there is space for electric cooker with hood above, fridge/freezer and both washer and dryer. 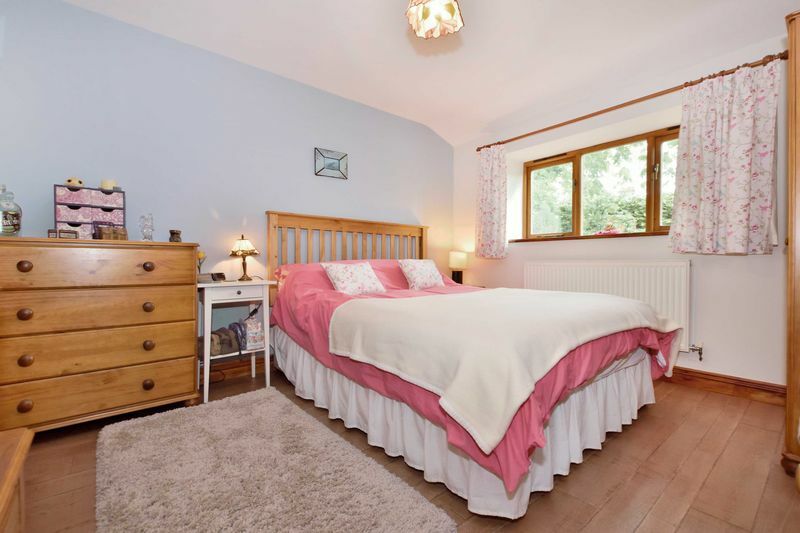 The good-sized Double Bedroom also benefits from the same wood-effect flooring and enjoys a large window with deep wooden cill. 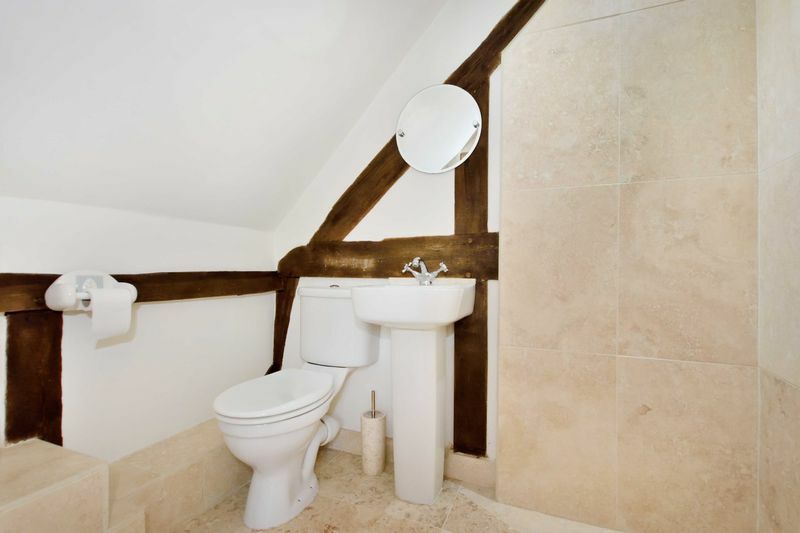 Off the Bedroom opens the Ensuite with large shower cubicle, WC and pedestal basin. 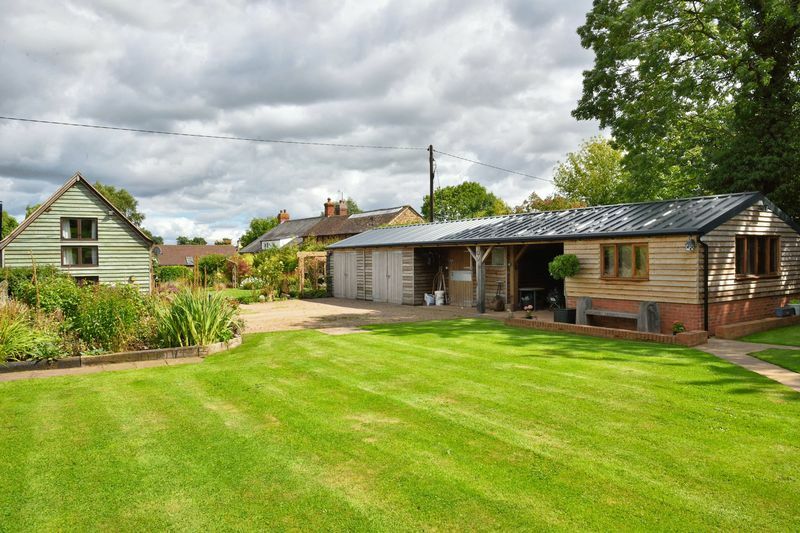 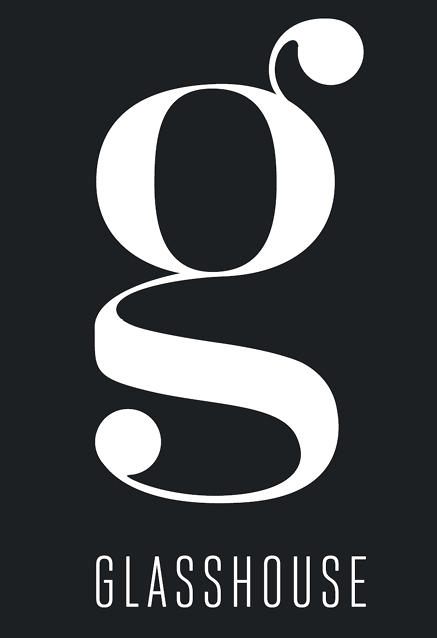 Garage Block – The extended and newly re-roofed block provides twin Double Garages. 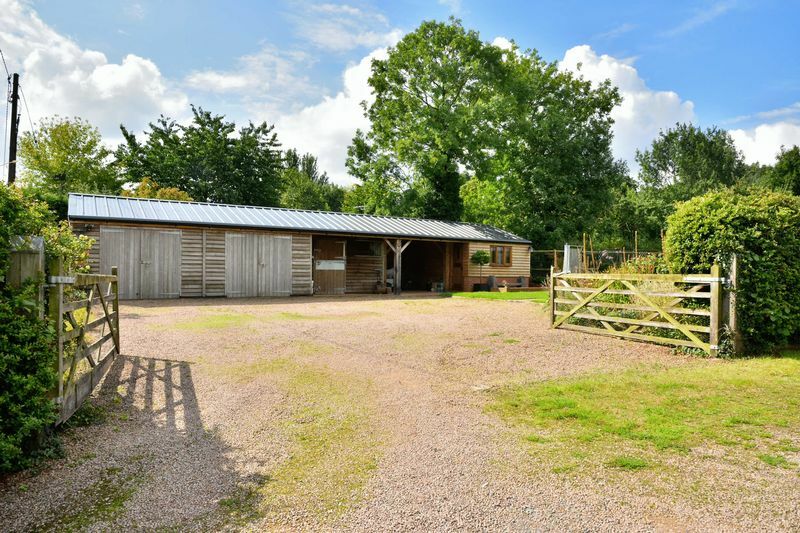 Next door is a modern Stable with both lighting and power outlets and an open carport to the side; again, with power and lighting, all combining ideally for equestrian pursuits with obvious storage and tack rooms or for those not pony-mad offering an array of Workshops. 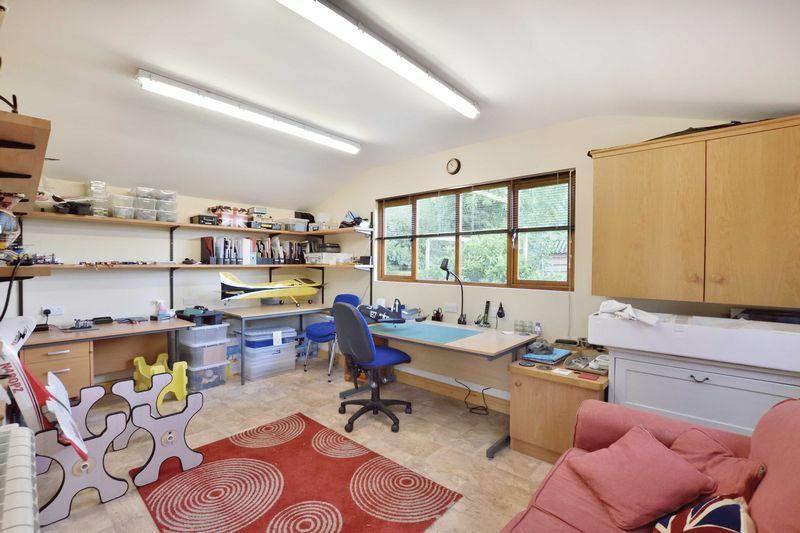 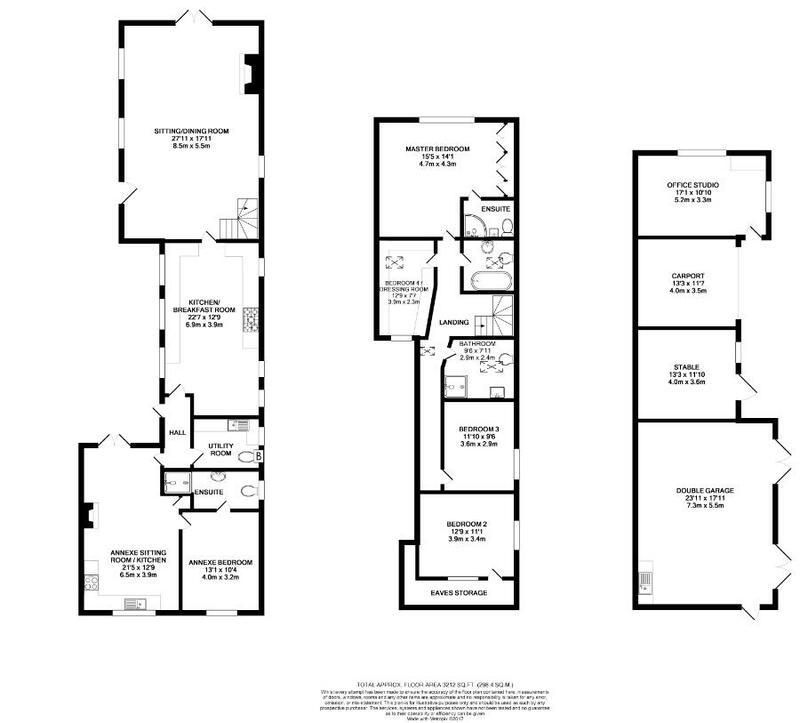 To the end lies a superb Home Office/Studio with tiled floor. 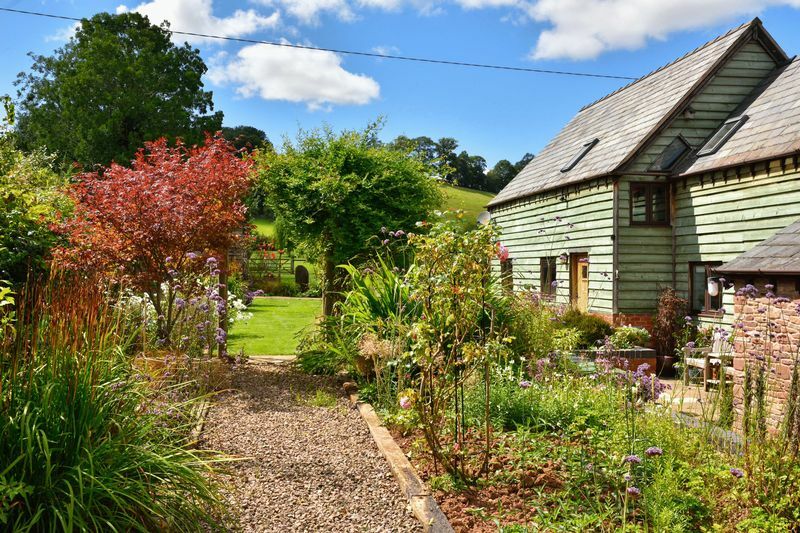 To the side of the long Driveway opens a productive garden with maturing specimen trees and prolific raised soft fruit bed. 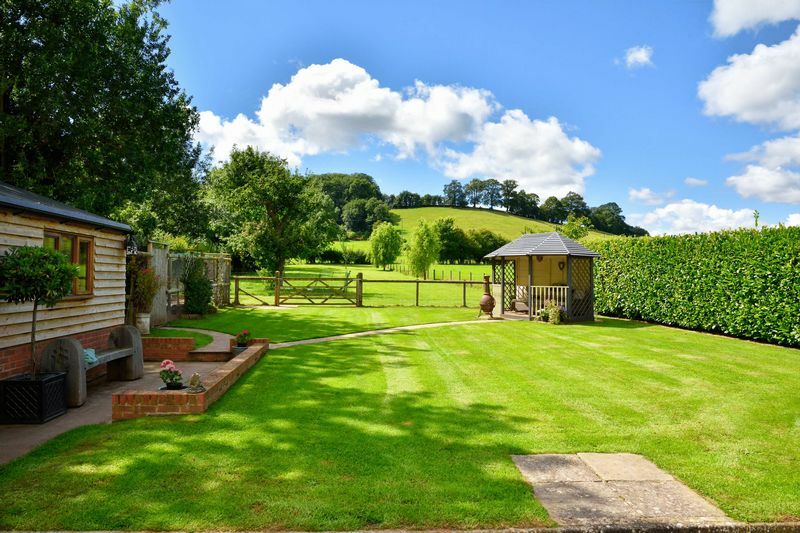 Beyond the gated entrance the gardens near the barn are a delight of rich plantings with pathways winding from dining patios towards the newly restored Cider Mill. 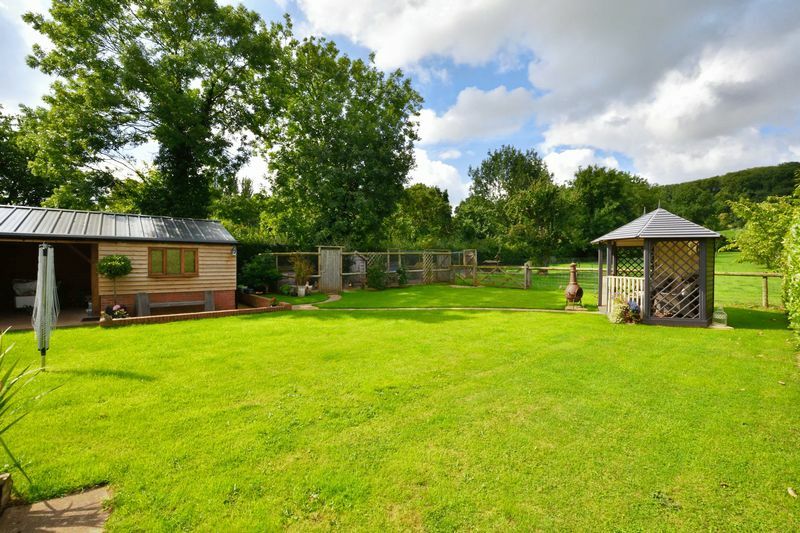 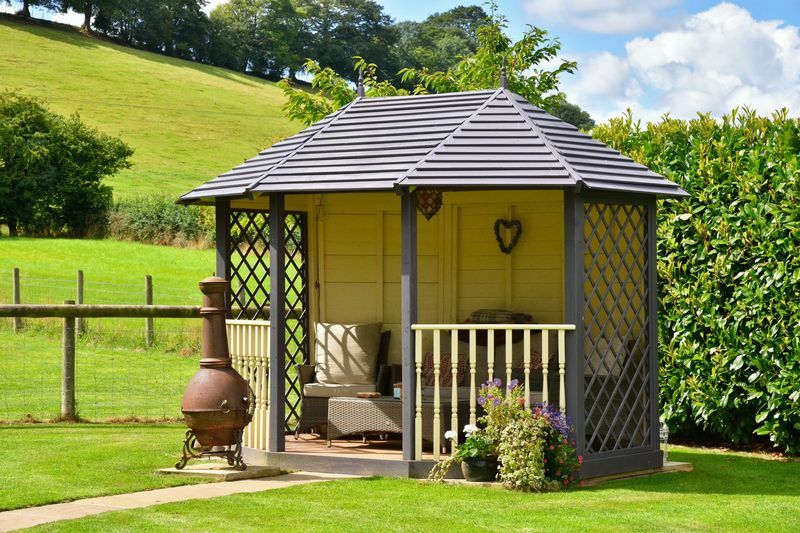 The Garage Block discreetly conceals the chicken and duck runs while opposite a swathe of lawn leads across to the Summerhouse. 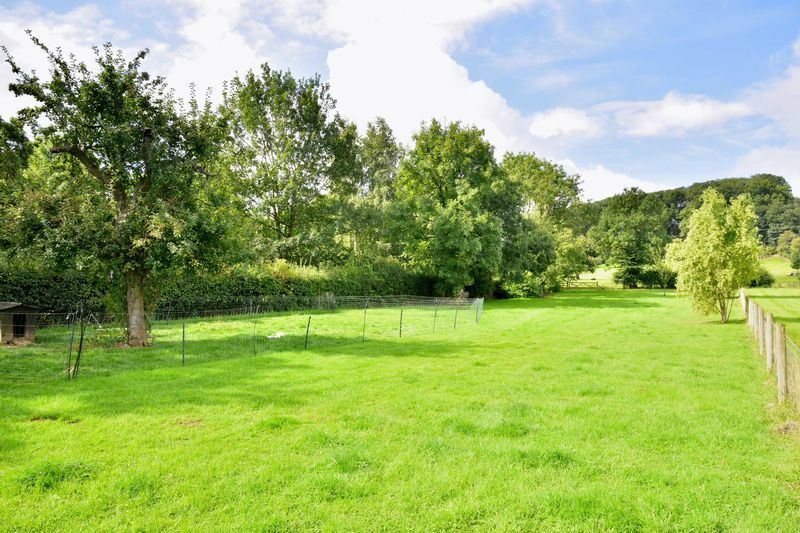 Beyond the gardens lie the Orchard with some new plantings and on up into the larger second field with permanent field shelter. 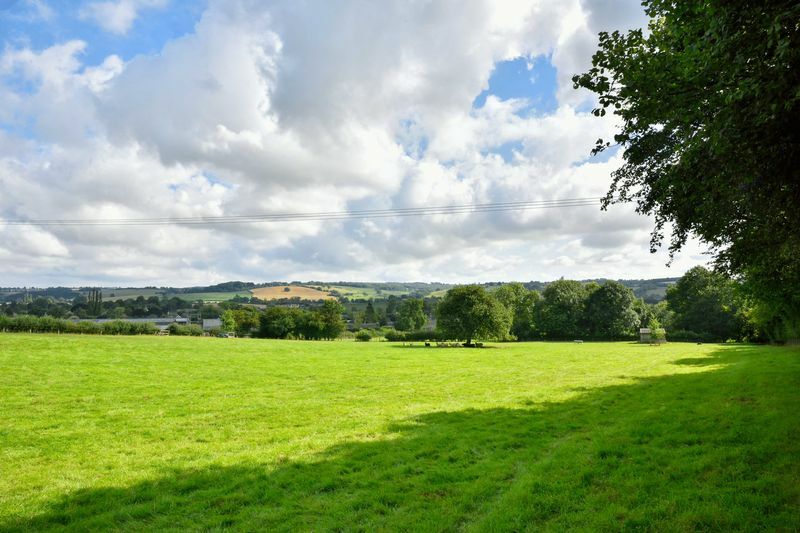 From Hereford, take the A438 Commercial Road towards Worcester. 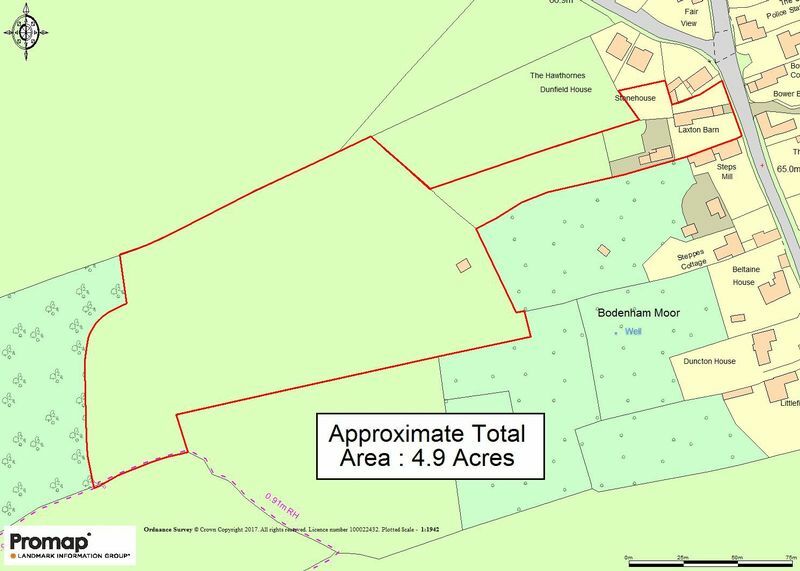 At the roundabout on the far side of Aylestone Hill take the second exit to Bodenham/Sutton St. Nicholas. 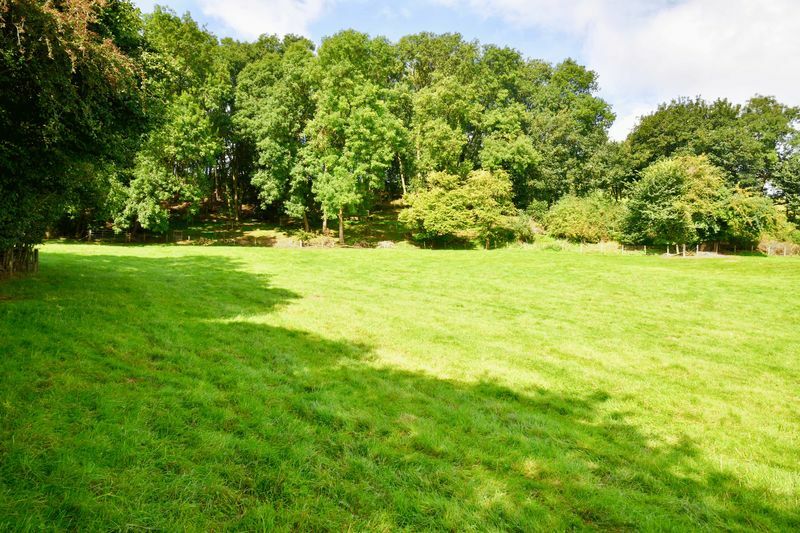 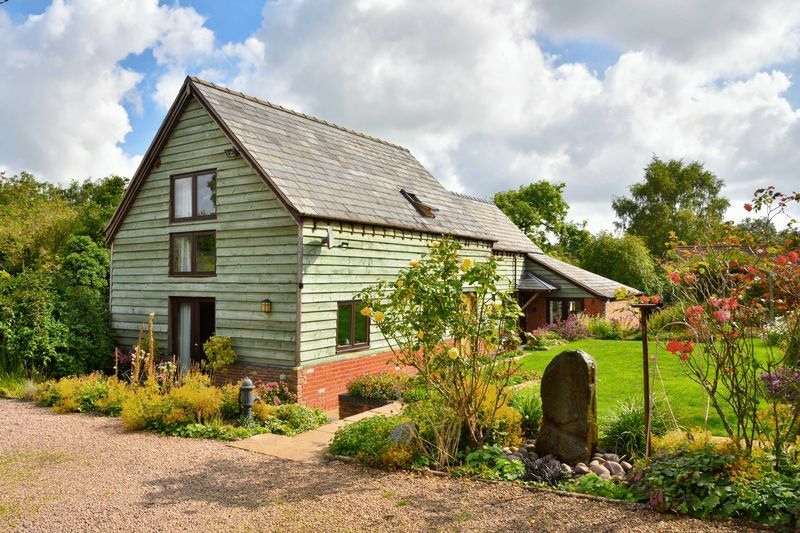 Drive for 6 miles to the edge of Bodenham, the property is to be found on the left, marked with a Glasshouse ‘For Sale’ board.